• Great looking reflective silver base globe for cherished holiday memories. 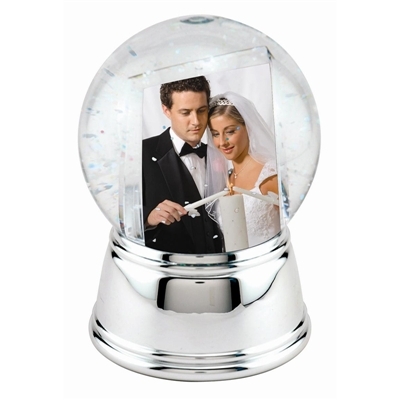 • The base is a soft yet pliable sphere to display your photos. • Displays 2 - 2'' x 3'' photos. • Overall size is 4'' x 6'' individually boxed in cases of 12 globes. Great looking reflective chrome base globe for cherished holiday memories. The base is a soft yet pliable sphere to display your photos. Displays 2 - 2'' x 3'' photos.